To many audiologists, Dr. Gail Chermak’s name is synonymous with research in the diagnosis and management of central auditory processing disorders. Dr. Chermak received her BA degree from SUNY Buffalo and her MA and PhD from Ohio State University. After two years as an assistant professor at Southern Illinois University, she accepted a position at Washington State University where she has had multiple academic roles for the past 32 years. 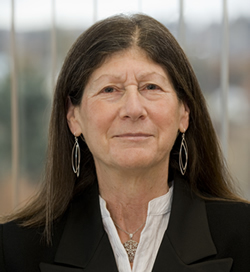 Dr. Chermak began her pioneering work in the area of central auditory processing disorders (CAPD) in the 1980s and her contributions to the field’s knowledge base have been seminal. Her work represents a coherent and focused research program on the efficacy of assessment and intervention procedures for individuals with (C)APD. Her research has not only informed our understanding and knowledge of neuroaudiological disorders and their impact on the lives of individuals with these disorders, but her efforts have shaped and guided the preferred practice model for our profession. Those who’ve attended her workshops or her university courses know that she has the unique ability to make difficult concepts easy to understand and apply. It is virtually impossible to delve into the APD literature without repeatedly encountering her influence in the form of refereed articles, edited monographs, book chapters, and books. She has authored one book and co-authored or edited three more. She has written 10 book chapters and over 50 refereed articles in leading national and international journals in the fields of hearing and psychology. Simply put, Dr. Chermak is a gifted teacher and researcher. What makes her academic record even more remarkable is that it was generated while she was simultaneously distinguishing herself as a university administrator. Dr. Chermak has been chair of the Department of Speech and Hearing Science at Washington State University since 1990. Her leadership in that role has been so widely recognized as superb that she was appointed interim dean of the College of Liberal Arts for the 1997-1998 year. Her collective, outstanding performance in multiple university roles (scholar, leader, teacher, mentor, and citizen) resulted in numerous university awards including the College of Liberal Arts Distinguished Faculty Award, the Edward R. Meyer Distinguished Professor Award and the Washington State University Athletics Department Faculty Excellence award to name a few. As a Fulbright Scholar in 1989 she studied international models of health care and in subsequent years the Kellogg National Foundation funded her travel to Israel, Ecuador, Spain, Belgium, and the Netherlands to continue her studies of bioethics and health-care delivery policy. She has shared her knowledge of health-care policy and bioethics and her research in (C)APD in more than 100 national and international presentations, workshops, and articles. Dr. Gail Chermak has indeed made notable and lasting contributions to our profession both nationally and internationally. For more than 30 years, the profession of audiology has been the beneficiary of her extraordinary talent, passion, energy.